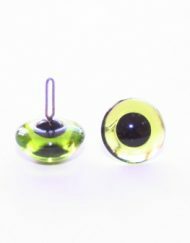 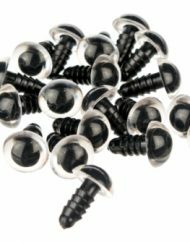 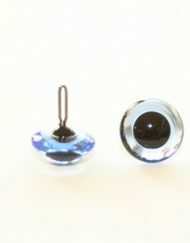 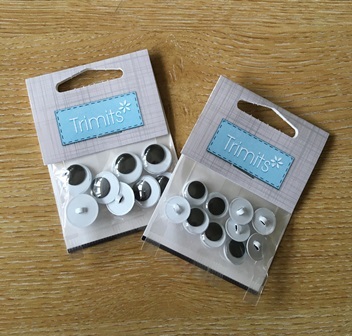 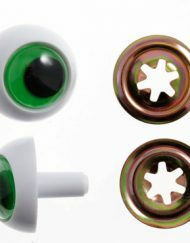 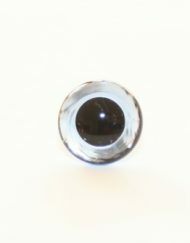 Sew on, plastic eyes with moveable black pupils which go by the name of googly eyes, goo goo eyes or joggle eyes. 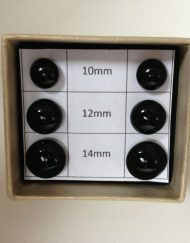 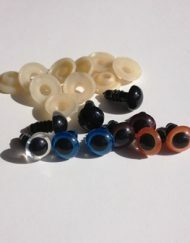 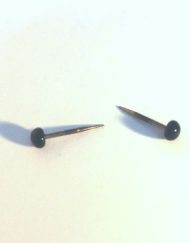 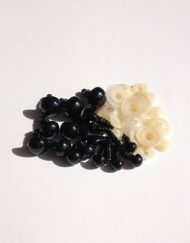 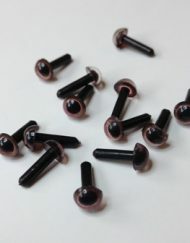 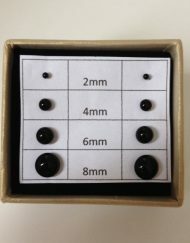 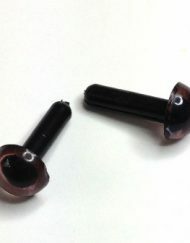 Available in 12mm, 15mm, 20mm & 25mm. 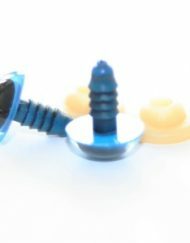 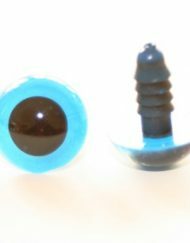 The plastic eyes are great for adding eyes onto novelty hats, jumpers, slippers, quilts etc where a pair of eyes are needed but you don’t have space for a shank at the back. 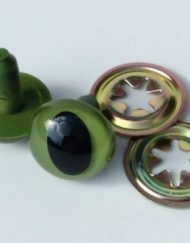 The eyes are sewn on through the hole on the back of the eye (you can see this in the close up photo) and are attached in a similar manner to sewing on a button. 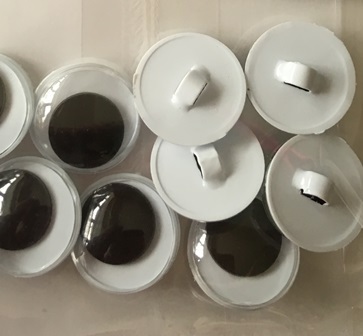 Please note, because these eyes don’t have a locking back, they are not suitable for toys for young children and aren’t classified as safety eyes.